Bhangra songs are always the liveliest. They put life into the party. Even people, who do not belong to the Indian culture, implement Bhangra songs into their dance sessions. The reason is simple – Bhangra is upbeat, catchy and very rhythmical. Therefore if you are a dancer you would not be able to avoid the Bhangra beats for your dance sessions. Bhangra pulls you to the dance floor. It is a reflection of the vibrant spirit of the Punjabis. It has a lot of energy and life into it. This is the reason Punjabis sing Bhangra songs at wedding functions. It always gives you a good reason to drag your relative to the dance floor. Not just in India but all over the world, Bhangra songs are catching up. 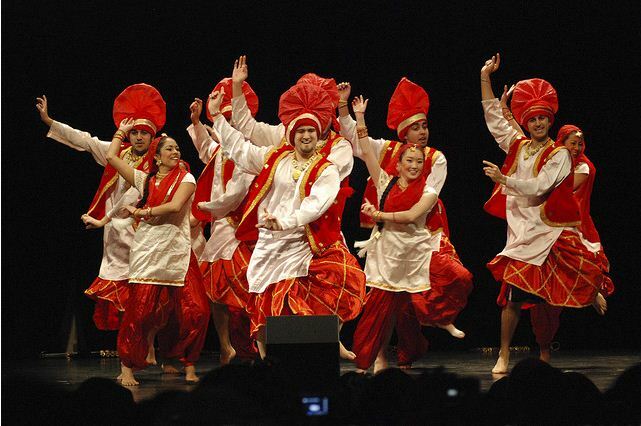 Bhangra mainly originates from Haryana and Punjab but the rest of the country has warmly embraced it. Bollywood songs are afloat with Punjabi songs. With several singers and composers from Punjabi background, Bhangra songs have almost become mainstream in India. Pao BhangraPao Bhangra literally is a call to action song. It asks you to dance to B hangar songs. It is one of the most popular Bhangra songs in history because of its peppy vibe. The song made quite an impact on the audience and is still doing the rounds in occasions and parties. Saddi GalliSaddi Galli is a song that is literally picturized on a wedding occasion. The song talks about a guy who is in love with a girl. He tells about the different features of the girl and asks her to come to visit him also once. Chall Mera NaalChall Mera Naal is one of the best songs that have very meaningful lyrics. This is one of the modernized Bhangra songs that also have western beats to it. But the song is sung in total Punjabi vocals. It has made quite a mark because it is played quite often in the Sangeets and Wedding events. Lakk 28 Kudi DaLakk 28 Kudi Da is probably one of the most controversial Bhangra songs in history. It talks about a certain girl that has a 28’’ waist. The song goes on to tell about the various other aspects of the girl. This has not gone down well with some people who thought the song objectified women. Chak De BoliyanThis song has very fast pace yet it somehow manages to still retain some melody in it. The song’s video is also very energetic. There is a lot of rhythm in the song which makes it the perfect song to dance to at parties. LaembadginiLaembadgini is a song that revolves around – yes you guessed it right – a Lamborghini. But in reality it is actually a different four wheeler whose name is laembadgini. The song shows that a woman is dreaming about the future. The song got a prestigious award for its true Bhangra tones. Banda Ban JaBanda Ban Ja is a Bhangra song that made its way into the top 10 Bhangra songs list of many popular music channels. The song is the favorite of many Punjabis. What differentiates this song from the rest is that it does not have a very energetic vibe, but the melody is complete and soulful. Rail GaddiEvery kid and adult in Punjab know this song. It is one of the most popular songs in Punjab. The song calls forth people to step aside because a train is oncoming their way. usually during this song people make a human chain and go around the room with more and more people joining the train. It is a fun song and brings childhood memories for some. High HeelsHigh Heels is one of the most popular songs of all time. The lyrics and the tempo beat the song and it is evergreen. Mere Yaar NeThis song became hugely popular within a very short time. If you want to hear a classic Bhangra song, this is it.